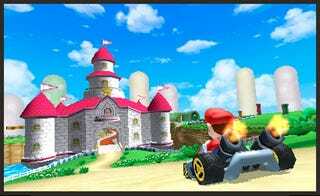 It wouldn't be a piece of Nintendo hardware without a Mario Kart game now, would it? While these are from a "concept demo", and not an actual title, it's Mario Kart. It'll turn up on the system sooner or later.